Already in the grips of an impending famine, fragile Somalia can't handle much more. But while hunger rates grab news headlines, there is a much quieter killer at work: tuberculosis. TB is one of the top ten causes of death globally, and Somalia is estimated to have one of the highest incidence rates in the world. Meanwhile, here in Canada, it's International Development Week. It's a chance to highlight and celebrate all the good work Canada has done globally. I find this difficult. Already in the grips of an impending famine, fragile Somalia can't handle much more. But while hunger rates grab news headlines, there is a much quieter killer at work: tuberculosis. TB is one of the top ten causes of death globally, and Somalia is estimated to have one of the highest incidence rates in the world. Meanwhile, here in Canada, it's International Development Week. It's a chance to highlight and celebrate all the good work Canada has done globally. I find this difficult. Maybe it's the cynic in me, or perhaps it's everything that's going on in the world, including famines, refugee crises and various conflicts. I'd find it much easier to talk about what Canada isn't doing or how our country should do more to help those in need. That was until I heard about Molit. Eight-year-old Molit is a boy in Somalia who contracted TB. Dressed in an oversized yellow t-shirt, he was sitting patiently between his parents and little brother. All of them had been infected and were waiting to be treated. It was a few months ago, when Molit first started coughing. 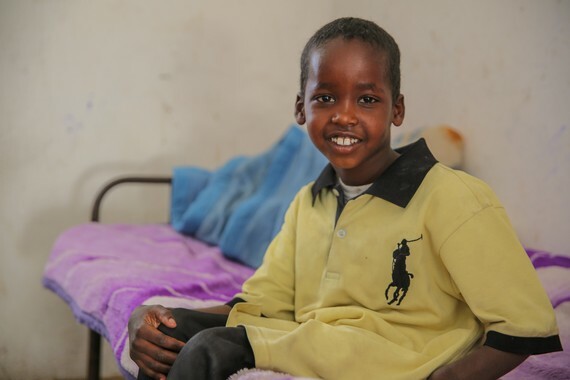 After weeks of feeling unwell, both he and his four-year-old brother Ali developed a fever. "I was very scared," said Molit. 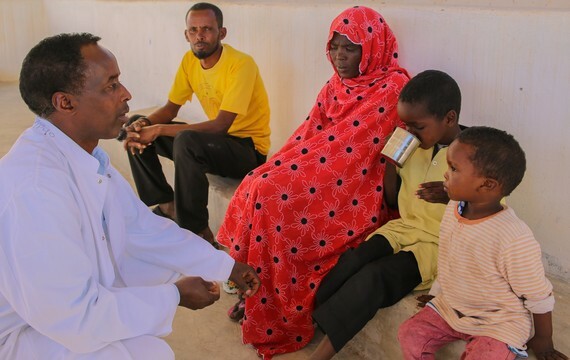 "People in my village sometimes die and with my cough, I thought I could be next." With barely any food in the house due to failed rain, as well as increasing prices at the market, Molit's father Saîd quickly decided that going to the hospital would be the children's only chance of survival. He didn't know then that both he and his wife had also contracted TB. "We would never be able to afford treatment," Saîd explained. "We heard that we might receive free healthcare, so it was worth the risk." Somalia is one of the most fragile countries in the world. Violence is rampant and food is scarce, so the risks involved in getting his two sick children to the hospital were very real. Not knowing if they would even have a place to stay when they got there, Molit's family walked for several days, holding on to the slightest possibility that they might be treated. Luckily, what they heard was true. 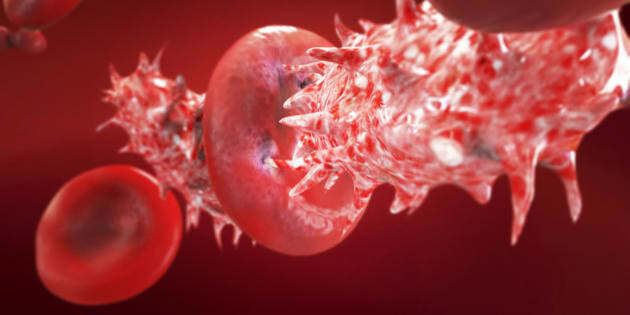 "Ever since we've arrived here and our test results were positive, we have been cared for well. For the past two months, we have been living in the hospital, and we will be here until our treatment is completed", said Saîd. Molit says he doesn't like the treatment but he's used to it because it's become habit. "The pills are big and I don't like taking them, but I know they will make me healthy again," he added. Even four-year-old Ali now swallows the pills confidently. It's this morning medical routine that gets me excited about the small, yet remarkable things Canadian aid can do. With the support from the Canadian Government, World Vision has created a holistic TB program that sees incredible results thanks to its built-in accountability measures. This careful attention has become a critical part of the TB treatment in Somalia. Instead of handing out medication and sending people on their way, daily check-ins to make sure pills are taken keeps patients from defaulting on their treatment. "We have a success rate of 88 per cent and, in the past year, have even successfully treated 240 cases of multi-drug-resistant TB," explained Dr. Hergeye, the hospital's leading physician. That wouldn't be possible without walking alongside patients every day. Dr. Hargeye knows that many people walk far distances to get to hospitals. "That's why we want to expand our work here with World Vision," he said. "Instead of only treating patients at the hospital, we want to go into the village and find more TB cases through screening processes. It's all about being proactive." An intervention as simple as caring for a vulnerable family while they take their medication is worth celebrating this International Development Week. TB might be a hidden killer, but human interactions like these prevent it from becoming a crisis.